Veganuary is an annual event that encourages people to try veganism for the whole month of January, hence the name! Veganism is a lifestyle and belief system that holds that all animal life is precious and valuable, and therefore humans should not do anything to harm or affect any and all animals. Most people know that vegans don’t eat meat or animal products, so this means things like milk, cheese, honey and eggs. It also means that vegans avoid anything that has a negative effect of animals, so vegans don’t wear or use products made from leather, or toiletries or cosmetics tested on animals. How do you know if something is vegan? 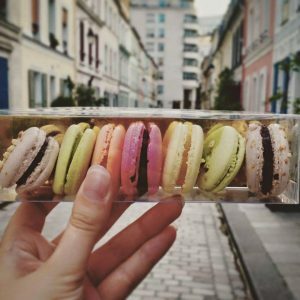 When it comes to food, a lot of products (but not all) will be labelled as vegan. Some are but are only listed as vegetarian, so it’s always worth reading the ingredients listing. If you are going vegan, it’s also worth looking into the source of some of the ingredients in your food even if it’s all plant-based to check that it’s also ethically sourced in a way that doesn’t harm the environment. A good example is palm oil. While it does come from a plant, unless it’s from a sustainable source, a palm oil comes from plantations grown at great loss to the natural biodiversity, destroying huge swathes of rainforest that is home to many animals including orangutans. Many vegan products have their status approved by the Vegan Society in the UK and are able to display a trademark that demonstrates they have met its standards. The trademark makes it easier to find vegan products, so it’s worth looking out for. It doesn’t just appear on foods either. Many toiletries, household products and cosmetics also have the Vegan Society Trademark. As more and more people choose to go vegetarian or vegan, or just cut down on the amount of animal-based products they consume, there are more and more options and alternatives available. What’s more, they taste great! Here are few suggestions to get you started, and links to some more ideas online. Eggs – Depending on what you’re cooking, you’ll need to swap out eggs for an alternative. For things like pancakes, a popular choice is to use something like bananas, pureed or blended in with the flour and some plant-based milk. They taste amazing! A surprising but brilliant substance you can easily get if you love cakes and baking is aquafaba. This sounds like something special but it’s really just the juice or liquid in the can around tinned chickpeas. Strain the chickpeas (which are a great source of protein! ), keep the liquid and you can use it to make cakes, meringue, mousse and so much more! The Vegan Society has some great suggestions to get you going. 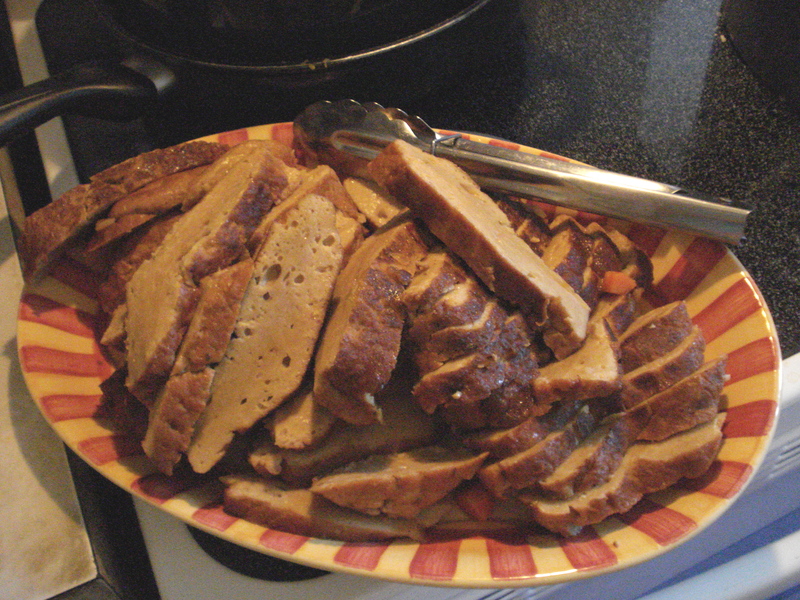 Seitan– If you’ve never heard of it, you’re not alone, but its getting more and more popular. It’s essentially pure wheat gluten, and comes in a protein rich and chewy form with a texture a lot like meat. This makes it a popular choice for making things like burgers, ‘chicken’ wings etc. Tofu – One of the most popular and well-known meat alternatives! But there are many different forms of tofu and you can do much more with it than just chop it up and cook it whole. Silken tofu can be scrambled a bit like eggs, which makes it a great breakfast option. It has a creamy texture which makes it ideal for turning into cakes and deserts. Firm tofu keeps its shape, so you can cut it into strips or cubes and cook it up with seasoning. It absorbs flavours well. 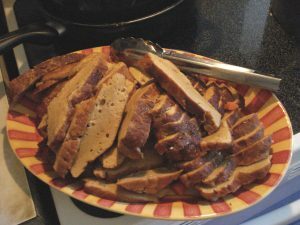 Smoked tofu has a strong flavour of its own, and can be grilled, fried and more. Soya mince – You can buy this frozen or dehydrated, and it cooks up easily. It’s great for making dishes where you might usually add minced meat, like lasagne, cottage pie, etc. Quorn – This plant-based protein comes in a variety of plain forms like cubes (great for stir fries) and mince (cottage pies and bolognese sauce) but you can also get it as ‘chicken’ nuggets, burgers, sausage and more. If you’re looking for things like cleaning products that are vegan, so haven’t been tested on animals, then the following brands are some good ones to get you started, and there are lots more online! They produce things like laundry liquid, washing up liquid, floor cleaner, window cleaner, surface cleaners and more. Do check that they have the leaping bunny logo, which means the contents haven’t been tested on animals. 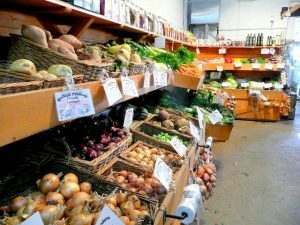 You can get a lot of these in big supermarkets, but the Ethical Superstore is also worth looking at if you want to go for more ethical, environmentally products. 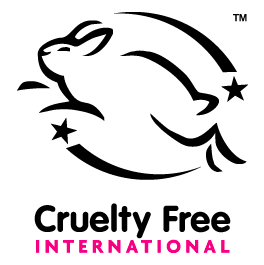 If it has the leaping bunny logo on it, that means the product hasn’t been tested on animals, so when you’re looking for toiletries or makeup make sure it’s there! You also need to check that the products are listed as vegan, as many toiletries contain things like beeswax or honey, and similar items. A lot of shops like Green People and the Body Shop make it very easy to just look for the vegan products they offer. Lush products are also all cruelty free and many are vegan too.